Below are two maps of the Davis area. The first is a map of the region showing Sacramento to the east, and Woodland to the north. 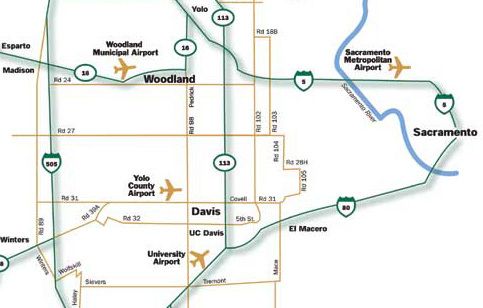 The second map shows more detail of Davis including the neighborhoods of El Macero in the East and the campus of UC Davis at the lower left.